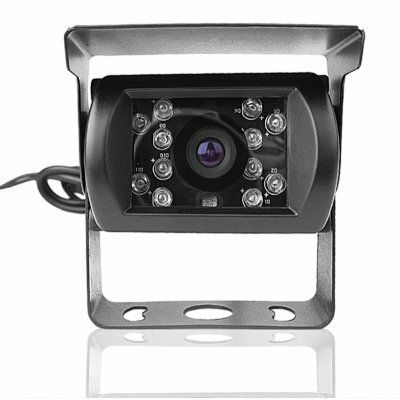 Successfully Added Wired 1/3 Inch Color CCD Camera -NTSC to your Shopping Cart. Wired NTSC 1/3 inch CCD car rearview camera for letting you see what is behind you at day or at night as you reverse the car. This high quality rearview camera features auto changing to IR in low light situations, easy to install design, an adjustable angle for camera to suit your needs, and high and low temperature tolerance along with a waterproofed shell. Be safe in your car as you reverse with Chinavasions low cost rearview IR camera, with a one year warrantee and no MOQ. Pretty good for my car backing up. I appricated the fast delivery. 4 stars coz not as clear as I hoped, but good for the price.